Learn how to configure and manage Cisco network devices using Python programming. Using hands-on lab-based learning, this course takes you all the way from the basics of Python programming to the specific skills and tools needed to manage network devices en masse using programming and reduces implementation time for software-based technologies in a Cisco enterprise. 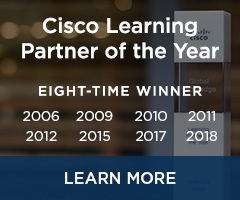 The course provides a comprehensive Python programming experience for Cisco networking professionals to automate and manage across the entire Cisco networking product line. With a focus on the Python programming language, you will learn to write, edit, modify, and expand complex Python scripts to utilize APIs and data models to effectively automate Cisco networking tasks throughout the enterprise. This will enable you to create and implement Python programming to automate configuration and operational needs in a Cisco enterprise. 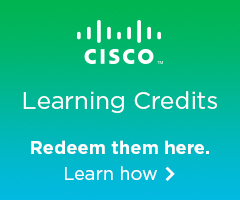 Knowledge of Cisco networking devices is required. Knowledge of ACI is useful but not a prerequisite. Knowledge of programming or Python is NOT required. Engineers who implement software-based technologies in a Cisco enterprise or configure/manage network devices.